With an extensive coastline, visitors to LA can pick from harbour cruises, whale and dolphin watching excursions, kayaking tours along the Venice canals, and Gondola rides in Newport Beach. Cruise Newport Beach's dinner, brunch and sunset cruises along the southern beaches of Newport and Huntington are also popular. Tel: +1 949 673 1489; +1 855 466 3652. Los Angeles Conservancy Tours run walking tours of Downtown Los Angeles. 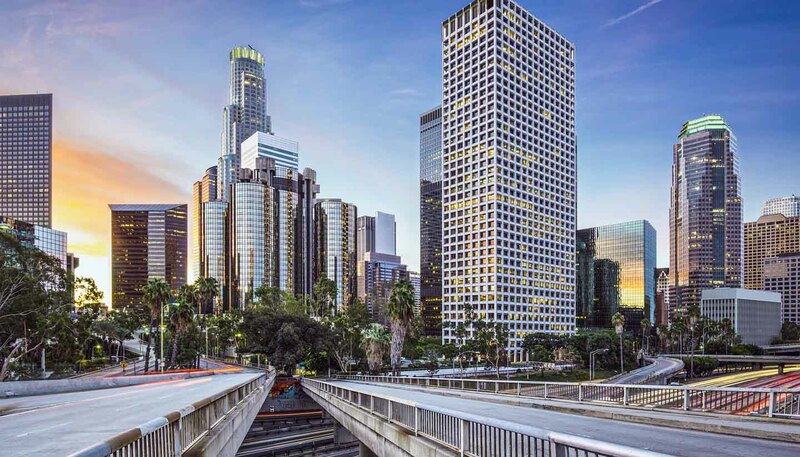 Their insightful expeditions cover landmark buildings and historic areas, such as Pershing Square, Broadway theatre district and Little Tokyo. Meanwhile, Red Line Tours takes visitors behind the glitz and glamour of Tinsel Town with a sprinkling of A-lister stardust. Each person is given a headset playing live commentary and tours offer rare access to the interiors of buildings. Tel: +1 213 623 2489; +1 323 402 1074. The sophisticated Spanish-influenced town of Santa Barbara is a two-hour drive north of LA. Take time to explore the historic Spanish mission, stroll the smart shopping and dining area, and try some fresh fish from a restaurant on the pier. With superior beaches and stylish surroundings, Santa Barbara proves a popular day trip from LA. Tel: +1 805 966 9222. The city of Long Beach is directly south of Downtown LA, an easy drive on the Long Beach freeways (I-710). Must sees include the Queen Mary, a 1934 luxury liner that's now a floating hotel; the Aquarium of the Pacific, which is home to more than 550 species of marine animals in a variety of ocean habitats; and Shoreline Village, a pleasant marina-style complex with shops and restaurants including Parker's Lighthouse. Tel: +1 562 436 364.